New York City. Two in the morning. A subway car heading uptown. Jack Reacher, plus five other passengers. Four are okay. The fifth isn’t. In the next few tense seconds Reacher will make a choice–and trigger an electrifying chain of events in this gritty, gripping masterwork of suspense by #1 New York Times bestseller Lee Child. Susan Mark was the fifth passenger. She had a lonely heart, an estranged son, and a big secret. 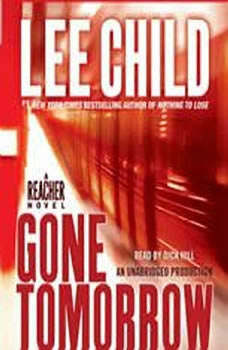 Reacher, working with a woman cop and a host of shadowy feds, wants to know just how big a hole Susan Mark was in, how many lives had already been twisted before hers, and what danger is looming around him now. Because a race has begun through the streets of Manhattan in a maze crowded with violent, skilled soldiers on all sides of a shadow war. Susan Mark’s plain little life was critical to dozens of others in Washington, California, Afghanistan . . . from a former Delta Force operator now running for the U.S. Senate, to a beautiful young woman with a fantastic story to tell–and to a host of others who have just one thing in common: They’re all lying to Reacher. A little. A lot. Or maybe just enough to get him killed. In a novel that slams through one hairpin surprise after another, Lee Child unleashes a thriller that spans three decades and gnaws at the heart of America . . . and for Jack Reacher, a man who trusts no one and likes it that way, it’s a mystery with only one answer–the kind that comes when you finally get face-to-face and look your worst enemy in the eye.